Developer: Sunrise Gate Homes Ltd.
An enviable lifestyle awaits you overlooking the prestigious fairways of The Hunt Club and just moments from the Beach. 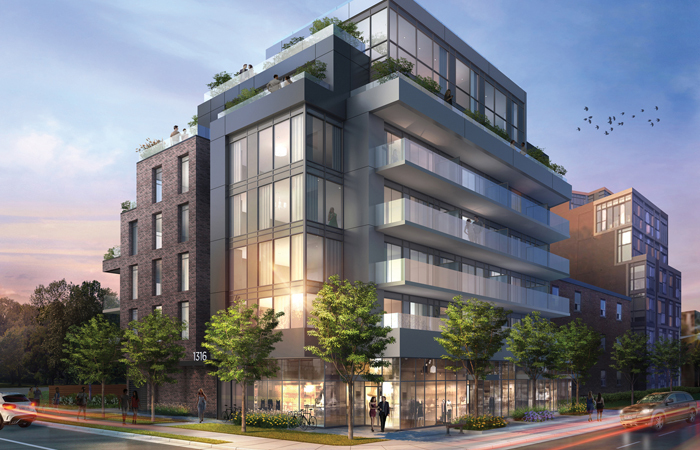 Situated in a desirable established neighbourhood, Terrasse presents elegant suite designs with exceptional finishes in a contemporary boutique building featuring gorgeous views of the lake and stunning two-storey penthouses. Many will aspire to live here, but only a fortunate few will have the opportunity.